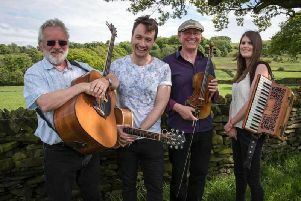 Lancashire band The Lottery Winners will be in action at Nottingham Glee Club on September 28. Recently signed by legendary music A&R Seymour Stein to Sire Records. Lead singer Thom said: “It’s hard for me to get my head around how much of a big deal this actually is. The resurgence in music from the North West continues apace and The Lottery Winners are very much at the forefront of that. Find out what all the fuss is about at Glee.